Did you know that you can use props to exercise? And yes, these could be a variety of them like bricks, bolsters, ropes and more. 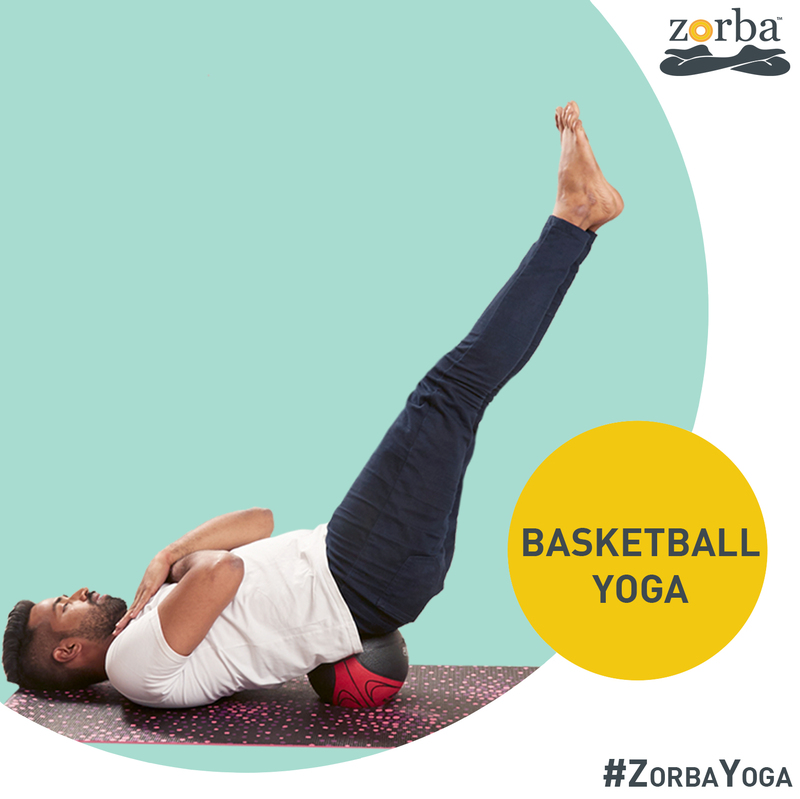 Exercising with props can help you perfect your posture, give you balance and also add a fun element to your workout. The props can be used for resistance and functional training and need to be done right. “Try to always be regular to your practices even if it is for a short time period. 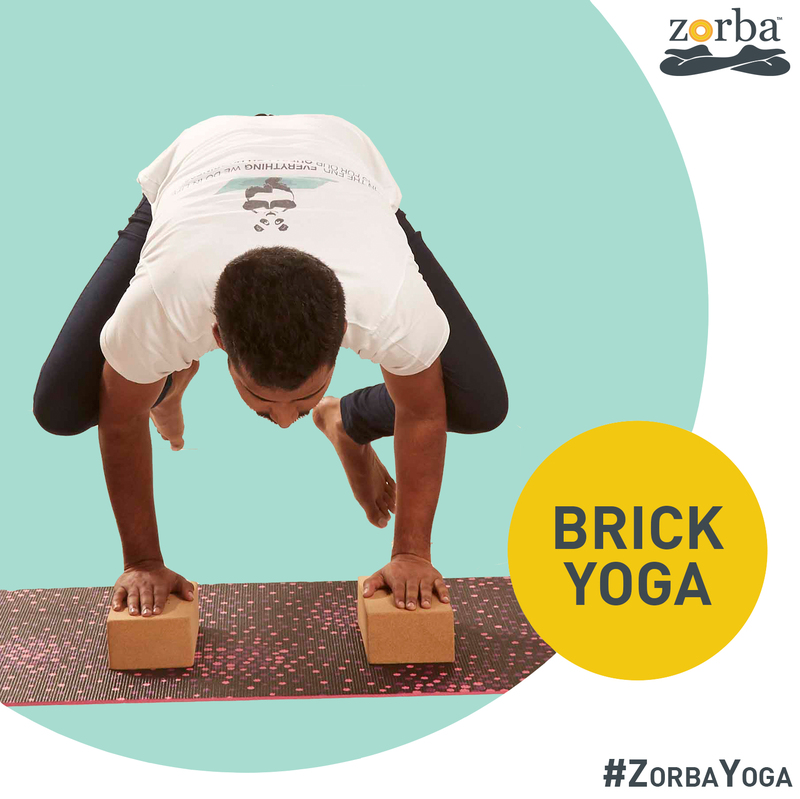 During the practice avoid wiping sweat unless it is onto your eyes or nose. Always carry extra clothes, towels, water and good gripper mat. 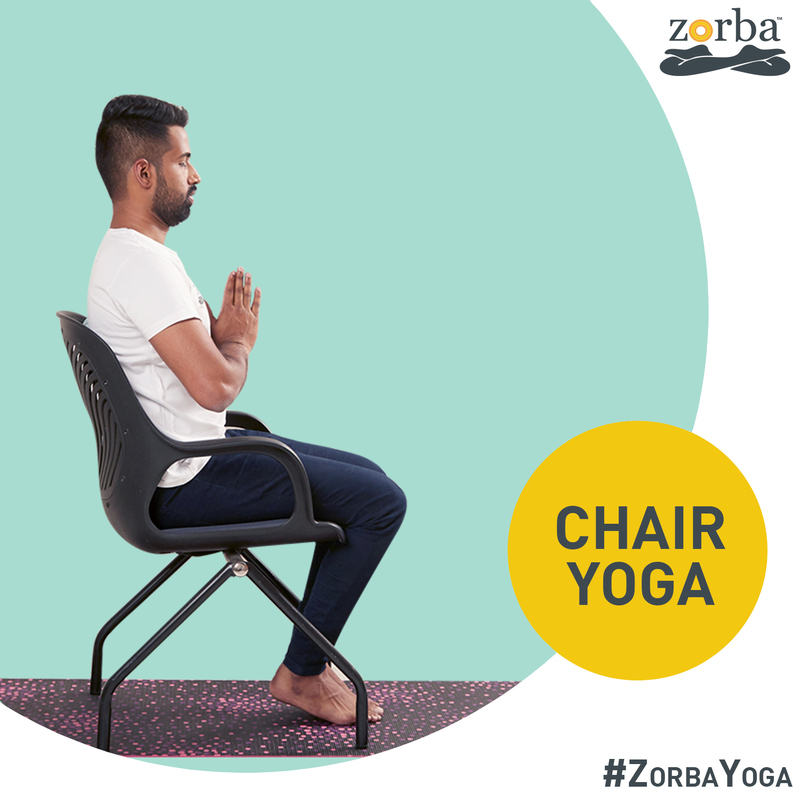 Try to forget all your worries and issues try to be completely present in the session,” advices Sarvesh Shashi, Founder, Zorba Yoga – A Renaissance Studio. A PVC pipe can be a great prop for mobility drills. It is economical, easily accessible and can be used for workouts for beginners and for rehab from injuries and for warm up drills for advanced athletes. “PVC pass throughs are warm up drills before you start any workout for shoulders. They can be used as a barbell for doing movements like overhead squat, power cleans and deadlifts for beginners. PVC Pipe warm up drills can be done for 5 to 8 mins every day. All beginners must use this for weight lifting movements until they get their technique 100% right,” says Shwetambari Shetty, Fitness Expert at Cult, Zumba Educational Specialist and Master Trainer India. Likewise, sandbags are fabulous for cardio and strength workout. “Available in different weights, you can throw them, squat with them, lift them. You can use this at the gym or at home. Use them mostly for squats and throw over shoulders. You can challenge yourself further by using heavier sandbags. For squats you can do 10 reps, 2 mins break and repeat the set 3 times or you can reduce reps and go heavier. For sandbag throws, you can do 10 throws over shoulders, break for a min and repeat one more time,” adds Shetty. Props are sporting accessories which help you improvise your workout. There are various accessories whose primary goal is to work on core stability, balance and coordination, speed and agility also improving alertness of the central nervous system (CNS). “As required in any other form of training performing all the exercises with proper Form & Technique is required, proper selection of the accessory according to the exercise is vital, always perform the exercises under proper supervision, always plan intervals with the help of the accessories like with the help of the kettle bells you can challenge your muscular endurance in one interval, in the second challenge your core stability with the use of the stability ball, this will keep your heart rate elevated & give you maximum results. 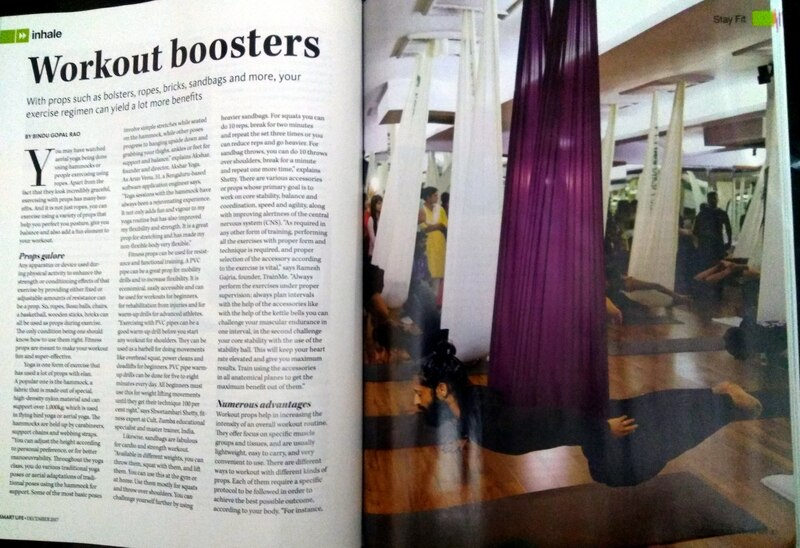 Train using the accessories in all anatomical planes to get the maximum benefit out of them,” says Ramesh Gajria, Founder, TrainMe. If you prefer to exercise from your home, you can choose smaller crops that do not occupy a lot of space and are easy to store. Resistance Bands are a great choice as this can help you work on your muscular strength and endurance. “The range of resistance created by these multiple bands ranges from 7lbs to 70 lbs. and you can work out your legs, back, chest arms, shoulders also your abs using them. Conventional exercises like squats, deadlifts, chest presses, shoulder presses, biceps and triceps can be done,” says Gajria. And while Swiss balls are slightly bulky they are a great accessory you can just put in in your living area and use as a chair to help you improve your posture as you have to work on center of gravity it will work on the smallest muscle in your body. Well, bad posture is the main reason for many injuries and when you sit on the ball you will be alert and focused on it. It is always advisable to use props under and with expert supervision in order to avoid any injury or unfortunate accidents while working out. Once you have started working out, make sure to follow the basic steps while using these props and that you use them for the sole purpose of exactly what they are meant for. Do not try to go overboard, as it can lead to injuries. “Always keep in mind that you use high-quality workout props and keep them maintained by following the basic workout etiquettes. Also, before launching off to start a new workout with any of the props, make sure you have complete information about that specific workout. Try and stay under the guidance of an expert fitness instructor before trying your hands on any of the workout props,” says Verma. Also when you use props for the first time you might face a few challenges in the beginning due to lack of experience. Again, the do’s and don’ts vary from person to person and equipment to equipment. “For instance, TRX or any other suspension training device can be used by almost anyone as a Certified TRX professional is equipped with all kinds of variations-progressions and regressions to cater almost anyone. 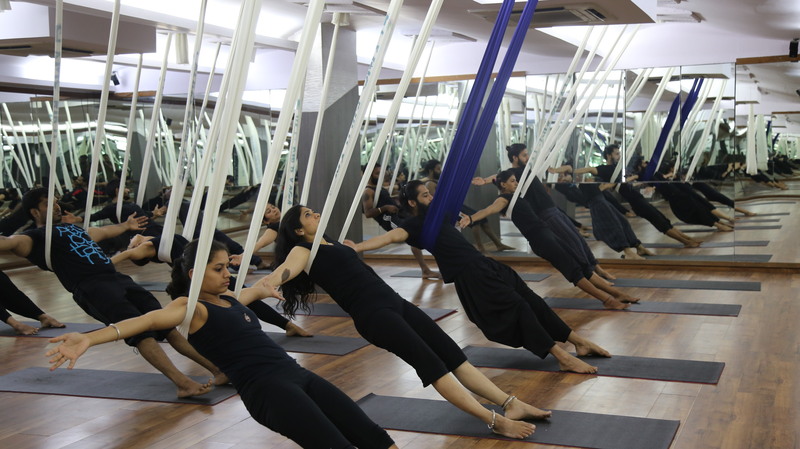 Contradicted movements on these equipment depend on many factors which are but not limited to, participant’s exercise history, age, mobility, medical conditions and preference,” says Malini Chawla, founder, Fit by Ravissant, a fitness center based in Delhi. Quite evidently, workout props can prove to be very handy once you get used to and comfortable so get fit the prop way! Wear form-fitting, but comfortable, clothes as loose clothing can make it difficult to move. Drink plenty of water and eat a light meal to prepare you for the intensity of the workout. Do not use hand lotion as it will make it harder for you to maintain your grip. Remove jewellery, watches and anything else that can get tangled. Always adjust grips as per need. Try to concentrate on your breathing as well.